A NEW basketball league that aims to develop and discover untapped talents while putting premium on fair officiating and parity among teams is set for tip-off next month. Founded by seasoned basketball movers in the country, the Pilipinas Commercial Basketball League (PCBL) aims to become the premier grassroots tournament in the country, reviving the vision of legendary amateur leagues like the old MICAA and the Philippine Basketball League (PBL). Former PBA chairman Buddy Encarnado of Sta. Lucia Realty bared that their group decided to form a stand-alone league that will showcase exciting games after seeing a huge surplus of players looking for an avenue to display their talent. The PCBL already has eight committed teams in former PBA ballclub Sta Lucia Realtors, PBA D-League regulars EuroMed, Tanduay Rhum, KeraMix, Racal Motors, Jumbo Plastic and Cagayan Valley Rising Suns, as well as newcomer Foton. Each team has also committed to play in the tournament for a longer period of time by putting in seed money for participation. "We want to see an amateur league where same teams compete regularly, conference after conference," said Encarnado. With its games set to be aired live on free television, the PCBL also hopes to stage some of their games in the provinces in order to bring the league closer to the fans. Encarnado bared the league hopes to fill the void in amateur commercial basketball and intends to hold tournaments all year long. "We are here to push for basketball continuity. May mga panahon kasi na walang laro and that's where we want to hold our games. At the same time, we want to co-exist with other leagues," said Encarnado, the league's founding chairman. "We only want to satisfy the basketball appetite of our fans. We just want to rebuild commercial basketball, that's it. It's where we all (team members) started." Tanduay head of basketball operations Lawrence Chongson, whose team was the last to commit to the new league, is also elated at the format of the PCBL, saying it's about time that a stable amateur tournament is born. "I hope this is the league that we have been waiting for. Gusto ko yung format ng liga and the philosophy of it. Ang dami talagang players ng bansa ang hindi nabibigyan ng break. 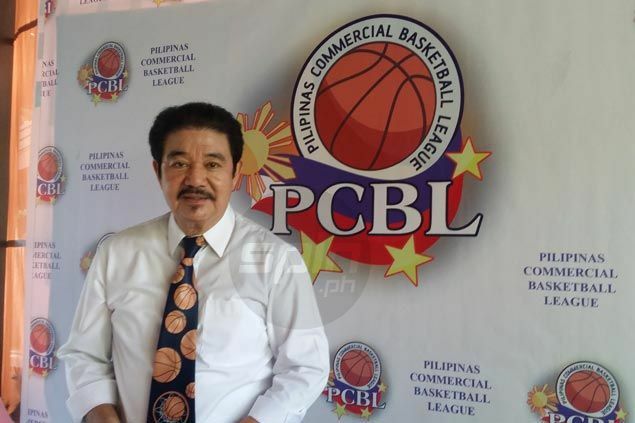 The more leagues, the merrier," said Chongson, a longtime amateur basketball patron. "May iba kasing mga players ang hindi nagkakaroon ng pagkakataong ilabas ang laro nila. The PCBL, I hope, will be the exact avenue needed for them to break into the mainstream," added the most trusted basketball officer of Tanduay big boss Bong Tan. Foton, a new player in the local basketball scene, is also confident the PCBL can become a credible grassroots basketball program. "We didn't think twice in joining the PCBL the moment we were invited to join. Nagustuhan namin yung commitment nila sa grassroots development while at the same time, it looks to become a formidable marketing avenue," said Foton team manager Nick Ocampo. "Remember the Philippines is a basketball-crazy country. And there's no better way to provide a better platform for our future basketball heroes than the PCBL," added the youthful motoring executive. To make the games more exciting, PCBL will raffle off electronic bikes to the fans during the inaugural season's opening ceremonies, tentatively set on the third Saturday of September at the Caruncho Gym in Pasig City.